“I think in a lot of ways unconditional love is a myth. My mom’s the only reason I know it’s a real thing.” In that quote, singer-songwriter Conor Oberst of Bright Eyes fame aptly captures something universal about Motherhood. When we examine our roots as a civilization and focus on who we were as a tribal cooperative, we find women raising babies, nurturing children, defending the tribe from predators and managing the community while men chased the wooly mammoth and other sources of food and supplies. Today, women are the greater force in the volunteer world. They are instinctively drawn to those pursuits that deliver the greater good for the greater number. Their commitment is vital. Whether it is supporting the quests of well-meaning organizations or cheer-leading the quests of their own children, mothers are relentless in their support. Ask any mother about motherhood and she need only look into your eyes. The miracle of giving life is something only mothers know and ingrains that support from day one. While different from the experience that a father knows, just ask any mother about motherhood and she need only look into your eyes for you to get the message. A message that really requires no words. However, there is an opportunity to talk about how mom’s unconditional love has made a permanent impression on you. A mom story, if you will and Cashco Financial wants to read and share them. I hope you’re game. Cashco invites you to share your Mom story. Win one of four $500 prizes. Mother’s Day (May 14 this year) made its first appearance in 1908 in West Virginia thanks to the efforts of Anna Jarvis. In 1914, then President Woodrow Wilson made it official through a proclamation. And here we are. 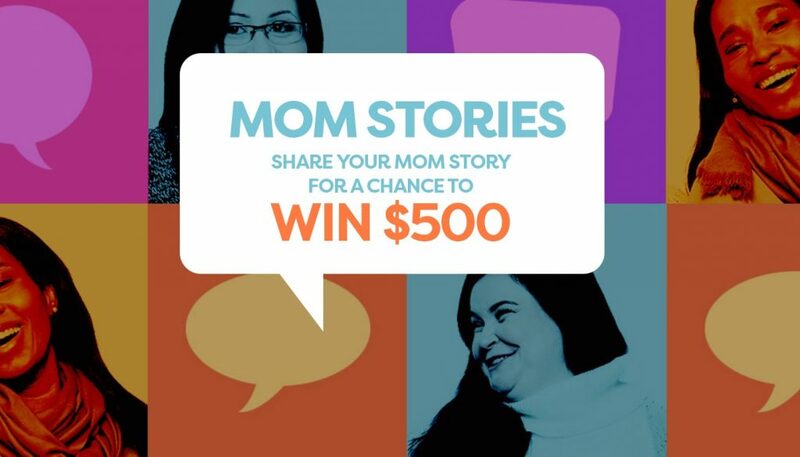 Cashco’s Mom Stories is your opportunity to win one of four $500 cash prizes and all you have to do is share a story about your mom or any mom. You’ll find all the details at MomStories.ca. There’s a simple form to fill out online. Be creative. Add photos, videos… anything that supports your story. The contest closes May 14, 2017 so get busy! The best part of this contest is that, no matter the outcome, love will prevail. Good luck!